I often buy those nets of not-yet-ripe, organic avocados to have them ripen later in the week. What ends up happening more often than not is that they all get ripe at the same time, and I can’t use them up fast enough. 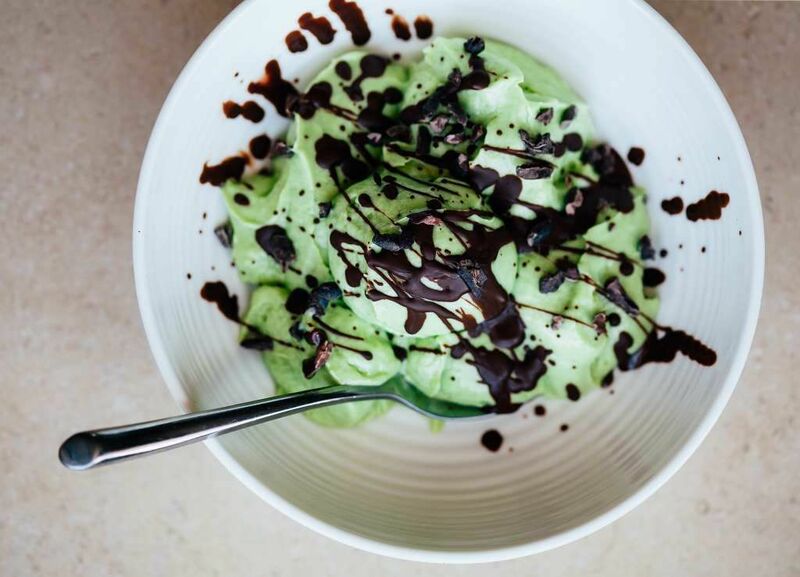 My solution is to mash up the avocados with some lime juice, then freeze the mash in ice cube trays to use in smoothies, quick avocado pudding and this soft serve, which we are completely obsessed with.